Here is the largest piece I’ve done so far (about 28×28 in). I really wanted to get the detail of the animals within her belly so I had to go larger. 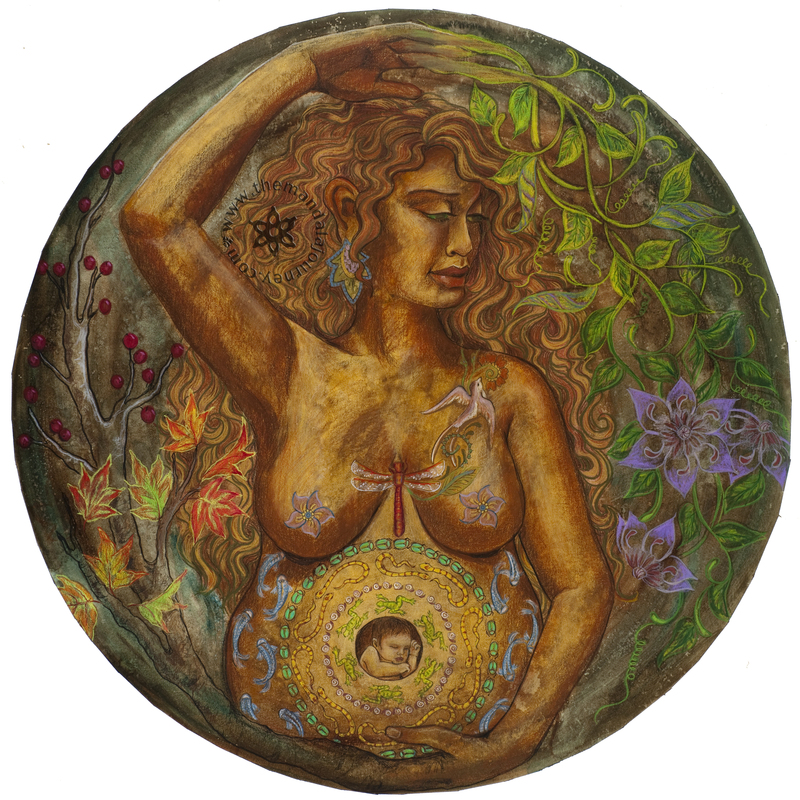 Gaia is the Earth Mother Goddess. 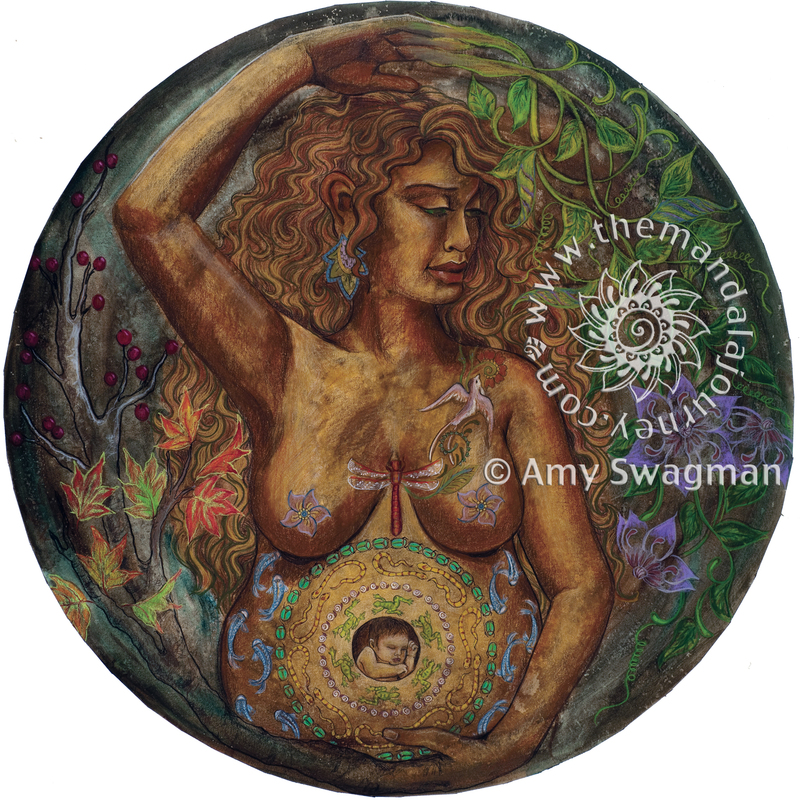 Along with the baby in her belly there are various animals, frogs, snails, snakes, beetles, snakes, dragonflies, etc. Spreading from her fingers are the seasons. Vines spreading from spring buds to summer flowers, trees with changing leaves and winter berries. We’d love to use this on the cover our small digital magazine for folk herbalists, Plant Healer Magazine, if you would like the exposure. Would be happy to give you a free ad in turn. Lovely piece indeed!